Georgia Tech's campus occupies 400 acres in the heart of the city of Atlanta, where more than 18,000 undergraduate and graduate students receive a focused, technologically based education. 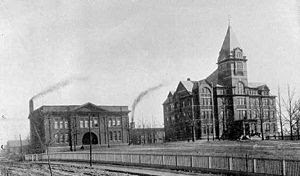 Founded on October 13, 1885, the Georgia School of Technology opened its doors in October 1888 to eighty-four students. 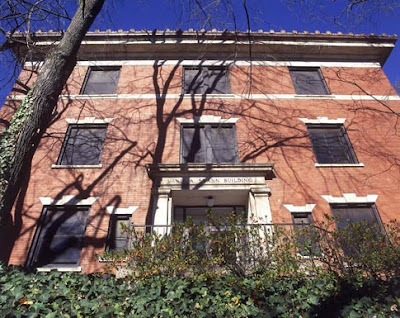 The School's creation signaled the beginning of the transformation of the agrarian South to an industrial economy. During its first fifty years, Tech grew from a narrowly focused trade school to a regionally recognized technological university. 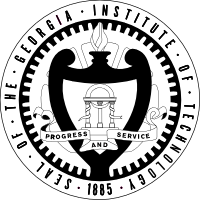 In 1948, the School's name was changed to the Georgia Institute of Technology to reflect a growing focus on advanced technological and scientific research. Women students were admitted in 1952, and in 1961 Georgia Tech became the first university in the Deep South to admit African American students without a court order. In recent years, Georgia Tech has been a national leader in managing the global transition from an industrial economy to an information economy. Throughout its long history, Georgia Tech has always focused its efforts on preparing students to use their innovative skills and strong work ethic to solve real-world problems and improve the lives of people around the globe. From the world-famous "Ramblin' Wreck" fight song to the Ramblin' Wreck Parade held every Homecoming to the fun and festivities of RATS Week, the Tech campus is steeped in time-honored traditions that students embrace from generation to generation. The Georgia Tech campus is a dynamic and vibrant place, with a constant array of activities designed for students, faculty, staff, alumni, and visitors. From athletics to concerts and theater to lectures and social gatherings, there are always great things happening at Tech. Campus visitors and students alike have long enjoyed the variety of high-caliber performance choices available on the Tech campus. From classical and rock music and comedy acts at the Ferst Center to the wonderful comedies, dramas, and musicals produced by the student-run DramaTech Theatre, Tech performances are a hot ticket. And don't forget the exciting contests in football, basketball, baseball, golf, and many other NCAA Division 1 sports that have long been an integral part of Tech tradition. All these choices for leisure and entertainment are an ideal complement to the renowned work ethic of Georgia Tech students, who know how to balance hard work in the classroom and lab with fun activities outside the academic arena. 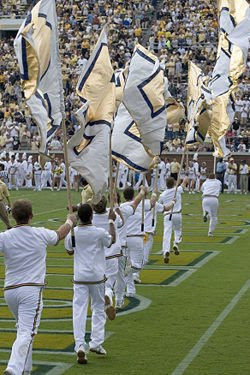 Georgia Tech, the home of the Yellow Jackets, is the No. 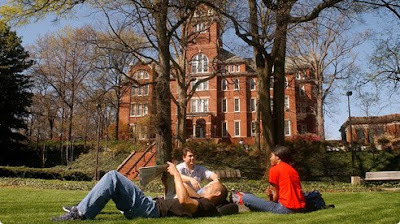 7 public university in the nation, according to the 2007 rankings by U.S. News & World Report. Georgia Tech is an innovative intellectual environment with more than 900 full-time instructional faculty and more than 18,000 undergraduate and graduate students. The university is a national and international leader in scientific and technological research and education. Over the past decade, overall research expenditures increased by 84 percent to $355.3 million in 2006, while federal research expenditures increased 129 percent. Georgia Tech now ranks among the top five in research expenditures among universities without a medical school. 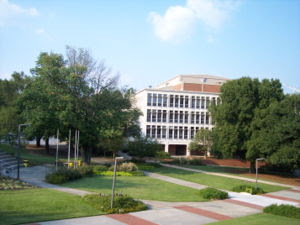 In addition, Georgia Tech has an estimated $3.9 billion annual impact within the state of Georgia, according to a 2006 Strategic Economic Development.